Investments made by hedge funds target companies with huge potential and stability. Such funds are administered by experts who know exactly where to put the money. They have their lists of some of the most favorite stocks where they invest in case of any openings. 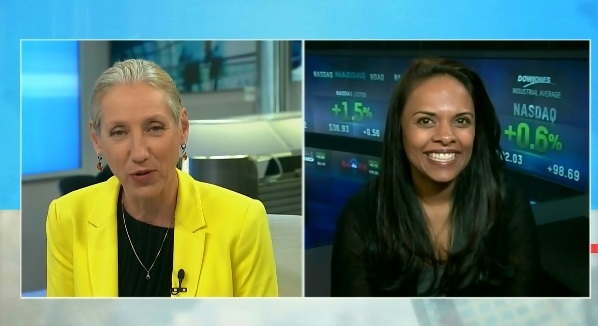 In a recent detailed interview with Meena Krishnamsetty by BNN‘s Frances Horodelski, The Insider Monkey Cofounder and Editor listed the funds’ three most favorite stocks as Apple Inc. (NASDAQ:AAPL), Google Inc (NASDAQ:GOOGL), and Microsoft Corporation (NASDAQ:MSFT) respectively. Google Inc (NASDAQ:GOOGL) on the other hand is currently held by 25 funds that hold stock valued at about $2.7 billion. Google owns the world’s largest search engine and is among the most profitable companies globally. Since its initial public offering in 2004, the stock has risen in value by an unbelievable $1,294%. Paul Ruddock and Steve Heinz’s Lansdowne Partners is the biggest shareholder of Google Inc (NASDAQ:GOOGL), holding 856,958 shares with a market value of about $0.8 billion. (You can see complete list of hedge funds which have investments in Google Inc (NASDAQ:GOOGL). Microsoft Corporation (NASDAQ:MSFT), coming at third place among the fund’s favorites is held by 25 funds. A longer list on Business Insider indicates that the amount held in funds has a market value of $7.2 billion. Windows Operating System by Microsoft Corporation (NASDAQ:MSFT) has long dominated the market with over 75% using one of their operating systems. The company has also gone big time in hardware and software programs as well. (You can see complete list of hedge funds which have investments in Microsoft Corporation (NASDAQ:MSFT). The top stocks as listed by The Insider Monkey Cofounder and several other online magazines are known to have great potential, resulting in their high ranking among hedge funds’ best.